Deep inside of all of us there is a hero. Some of us never let loose the potential that we have locked up inside, but what happens when you do... MudgetMann. Able to shovel snow in the bitter cold, fix fenders with a single whack of the hammer, and able to take first place without saying a single word. 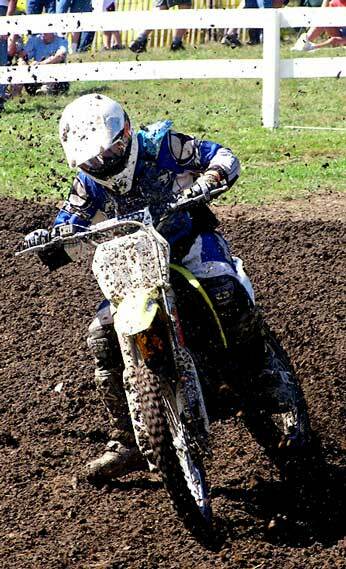 Tommy Mudgett is a mild-mannered 13-year-old who is a respected and sometimes feared rider. His skill and speed come from years of practice and discipline. We recently got a chance to catch up with this Phenom and find out a little history on him and his views on MX, Philopsophy and other superheroes. Tommy's Dad runs & Owns Mudgett Auto Body and is a well-known face on the track. Tommy's mom, nicknamed "Mean Jean" is also out there cheering it up for the young riders. If you get a chance to meet this family, you're in for an adventure of heroic proportions. 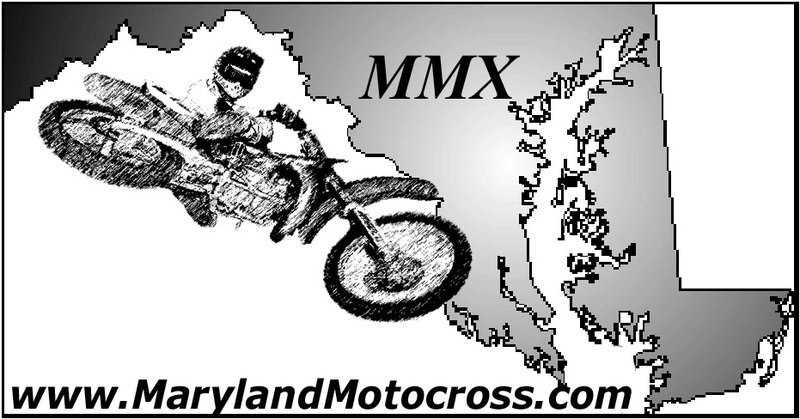 MarylandMotocross.com: Hello Tommy, got time for an interview? Tommy Mudgett: Sure, can you hold on for a sec? MMX.com: (Waiting) Hmmm... No elevator music? (Rapping) "You all gonna make me loose my head...Up in here... Up in here..." Jason Lawrence's answering machine dissed me, I wonder if Tommy learned that trick from him? TM: (A few seconds later) Hello? MMX.com: Nothing much. This is Ese' and I'm here with Tommy, can I call you Tommy? MMX.com: Well, Tommy, if that is your real name, we got a real problem here. I've been getting e-mails, calls, letters, death threats, dirty looks, and it all stems from people who swear that I lie when I tell them that you are not Captain M. Now, I don't know if you wanna go on the record and... go... go ahead and give me a press release. MMX.com: What!? No! No one calls you Captain M., they think you're Captain M., and it looks like you think you are too... Do you know who Captain M. is? MMX.com: No! No! No!. Captain M. is Captain M. and MudgettMann is you. Both superheroes, but not the same. MMX.com: So then, you're confirming that you may know Captain M., but you're not Capain M., you're MudgettMann. TM: Yeah. I guess that's how it goes. TM: Well, one day I was racing real good and I ran into Kevin Duffy and he was like "Whoaaaa MudgettMann." The name stuck and people have been calling me MudgettMann ever since. MMX.com: Okay. Kewl, Kewl. Now staying on the whole MudgettMann Kick, lets say that you were given permission to start your own Justice League. It was You, Captain M., and you could pick one more Superhero to be on your team. You could only choose either Superman, Wonder Woman, or Aquaman, who would you choose? TM: (Quick response) Woooonnnder Woman. MMX.com: Nice! Me too. Some day when you're my age, you'll be proud of yourself for that one. So, why not Aquaman? TM: I dunno, isn't he the one who shoots people with his eyes? MMX.com: No, that's Superman. Aquaman can talk to fish and swim. TM: What superhero can't swim? MMX.com: Ummm... I dunno. So do you think all the other heros are rolling out to save a town and Aquaman is like "Hey guys can I help?" And Wonder Woman is like "Sorry Fishboy, there's no water." And then Superman's like "He he Aquaman has to stay behind and guard the Justice League building cause he doesn;t have any powers." TM: Probably. I'm pretty sure I'd make fun of him too. MMX.com: Right on. All right, the last celebrity/hero question. A lot of emails are coming in and I just want to get all of this settled. Scooter looked it up in the Internet and way back in the day on WWF there was a Female Wrestler called Mean Jean and your mother is Mean Jean Mudgett, now is your mom the same Mean Jean as the WWF Female Wrestler? MMX.com: I mean we're not going to bug her. all she has to do is like 25 exhibition matches and we'll leave her alone. TM: No. They call her Mean Jean because she can be mean sometimes. MMX.com: You mean that she like hit's people or rips the tags off mattresses? TM: No. She won't let me spend the night over someone's house or something like that and I'll call her Mean Jean. Everyone just calls her that for no reason because it's been said once or twice, like Mudgettmann. MMX.com: So, how old are you and how long have you been riding? TM: I'm 13 now and I've been riding since I was 3 or 4. 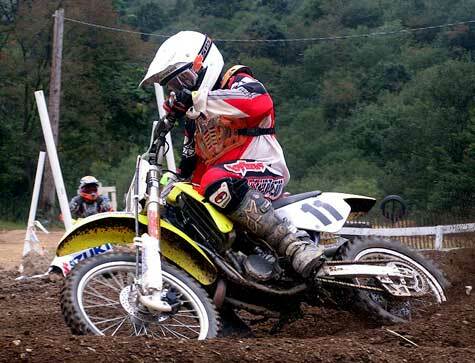 MMX.com: Now, name one thing that Motocross has taught you about life. TM: If you want something really bad you have to work really hard at it and once you get it, you'll appreciate all the work you went through to get it. When you become good at riding, you still have to work to stay that way. MMX.com: So, who's your favorite Pro Rider? TM: I like Davey Milsaps and Brock Hepler. MMX.com: Okay. I've got a question for you, why do they call it "my two cents" if people only offer you "a penny for your thoughts"? 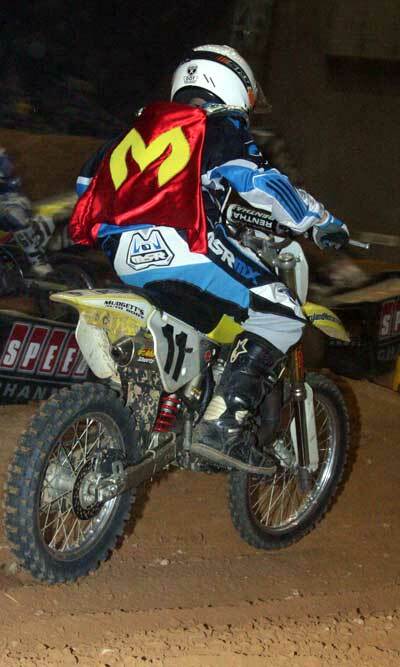 MMX.com: When you get on the track, you turn into your alter-ego Mudgettmann, right? MMX.com: How then, would you say, Mudgettmann is different from Tommy Mudgett? TM: Well, MudgettMann is limited mostly to the track, it's my personality when I ride. Off the track people still call me MudgettMann, or Tommy, or Mudgett, but when I get on the track, it's a different world, and I'm sure most people feel the same way. MMX.Com: Yeah get me that and a Chil-li-to. You ever eat a Chi-li-to Tommy? MMX.com: Kevin got me hooked on em. When you go to Burger King or Taco Bell, you should try one. They're a secret item. At first they try to pretend like they don't have them, but if you bug them enough, they'll give it to you. It's worth it. TM: Okay. I'll try that. Are they good? MMX.com: Yeah. Tell em' that Ese' sent you. On another note, I heard that there's a new girl in your life, wanna tell us about her? TM: (Laugh) There's... a whole bunch of em' I guess. (Laugh) I don't know what girl you're talking about. MMX.com: Are you telling me that you wear a Fur Hat, Bling, and slap people after you put power in your hand like a Pimp? TM: No bling. I just wear my MudgettMann cape. MMX.com: How did you do at Arenacross? TM: At Baltimore. Well, I got 3rd, but I tried my best. I did sweep at Hampton though. MMX.com: Hey, even Superman has a bad day sometimes? MMX.com: Well i've seen you race and you're usually the one to beat in your class. So who's this dude you guys hang out with that's like a "Merill of Sandwiches". He'll ask what I want then scream "Bam!" and it's right in front of me. He's good. TM: When I go racing... I think you're talking about Mr. Radford. He comes over and hangs out with me, my mom and dad. Sometimes I just go with him to the track. MMX.com: Now I've noticed that you're personality when you race is one in that you're pretty quiet. I never personally ever saw you talking trash, just joking with your friends sometimes or sort of meditating by yourself. I guess everyone kind of does their own type of focusing. You seem to just come out there to take care of business. When people trash talk how do you think that makes them look? TM: Well, if you're not good and you trash talk, then people just laugh at you. If your'e good and you trash talk, people really won't say anything, they just don't like being around you. I think it's funny when people do it to be funny and make others laugh, they make it a better time, but it can get serious. MMX.com: I guess it's true what they say "Not all winners are Champions". MMX.com: So, do you help your dad out at the shop, is part of your powers the ability to fix fenders and stuff? TM: Yeah, Sometimes I do. When it snows and stuff, I go shovel it out. MMX.com: So, you don't do any Bondo work or anything? TM: I sweep up, take out the trash, and sometimes I get to help him out on cars. MMX.com: So where's Mudgett Auto Body located at? 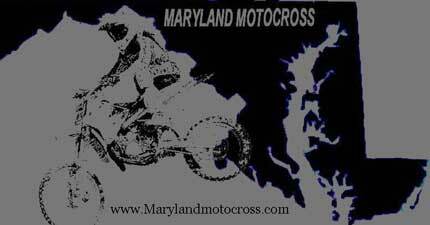 TM: It's in Kingsford Maryland, on 140 I think. MMX.com: Well, there's a little shameful advertising for your dad. MMX.com: Have you seen the Demo for our movie yet? TM: Yeah I thought it was pretty neat, when's the movie coming out? MMX.com: Hopefully in the next month or so. We just did the "Credits" scene where you were dancing with your bad leg and Nick did a back flip and almost took you out and the whole "Mud Battle" at The Landing came out pretty good thanks to Zeke "2 Ns" ZiemaN, "The Wilcom Effect", and the Sicboyz. TM: Great. I can't wait. MMX.com: Finish the sentence "The first thing I look forward to when I arrive at the track is..."
TM: Walking the track and checking it out, the excitement I feel, and seeing my friends. MMX.com: Do you have any hobbies besides MX? TM: I like to play football, basketball, and video games. MMX.com: I see. Any advice for people new to the sport? TM: Keep riding. Ride as much as you can and on different tracks as often as you can. MMX.com: What kind of bike do you ride and what kind of gear do you wear? TM: I ride a Suziki RM85 and I wear MSR gear. MMX.com: Is there anyone you'd like to give a shout out to? TM: I'd like to thank all of my sponsors, they help me out a whole lot and my mom and dad who are at the top of that list. 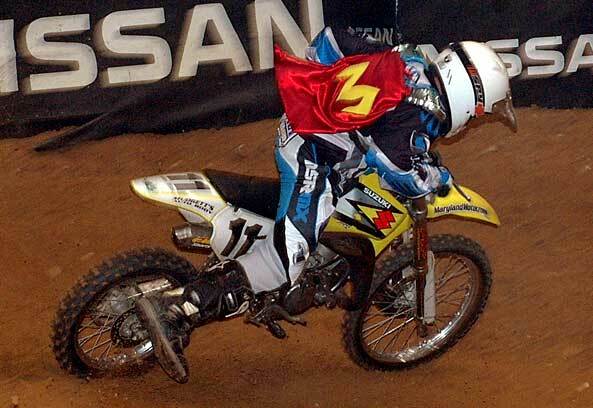 MMX.com: All right Tommy, we look forward to seeing either you or your alter-ego at the track. Thanks a lot for your time. TM: Thank you. See ya.